Visit Can Gio to explore a mangrove forest, crocodile Lake, and a bird sanctuary. Become immersed in the daily lives of a Vietnamese family and explore the surrounding areas of Ho Chi Minh City. Attend basic Vietnamese language classes. 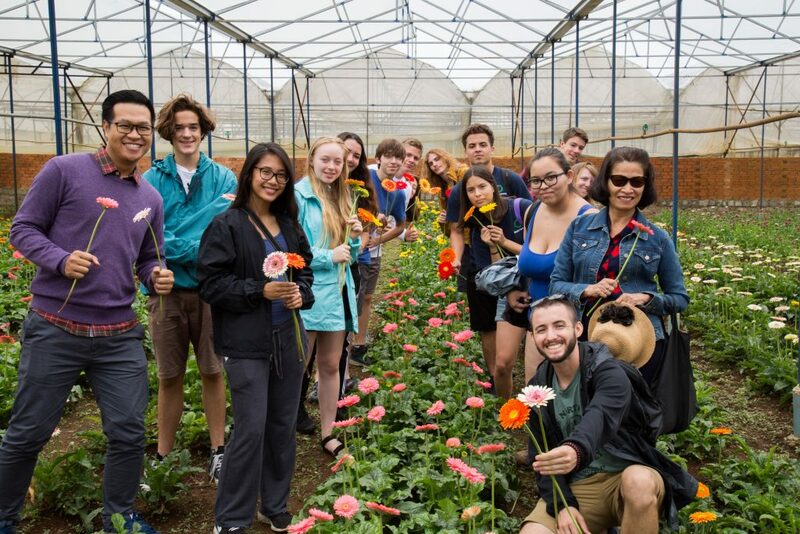 Take an agriculture tour in Dalat where you will visit a flower farm, coffee farm, cricket farm, an elephant sanctuary and Pongour water fall. Hike to the Lang Bian Mountain and reflect on the ecosystem and conservation of pine tree forests surrounding the area. Visit a gibbon primate center, the Monkey World or the Endangered Primate Species Center at Dao Tien Island to learn about the conservation efforts at the center. After a day in Ho Chi Min city, travel to Can Dao Island. Attend seminars on the environment and climate change and on culture and folk music in the area. Visit the floating markets on the Mekong River, the museum of Vo Thi Sau and have free time to enjoy the Bo Dap beach at the Con Dao camping site, including snorkeling and exploring coral reefs. 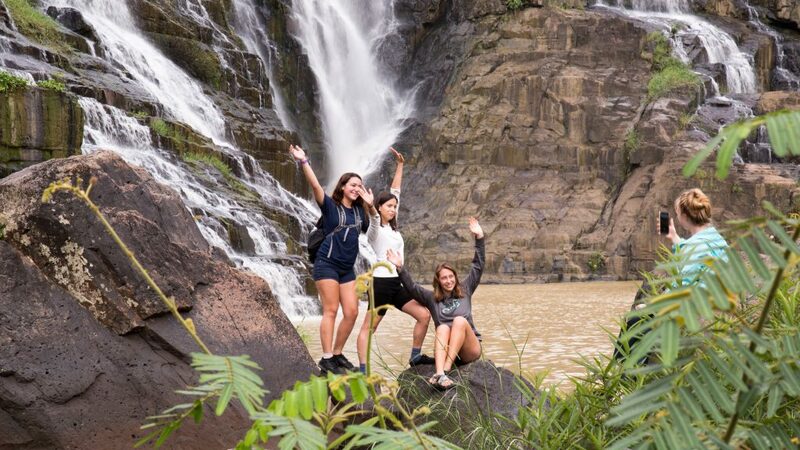 Visit our Vietnam: Ecology from Coast to Jungle program page to learn more.